Within the past couple of decades, China has cemented their position as an economical superpower in the world. They boast one of the largest economies, the biggest trade network of almost any nation, and one of the largest manufacturers of all time. Unfortunately, when you have so many factories and production lines working overtime, waste is produced at an alarming rate. 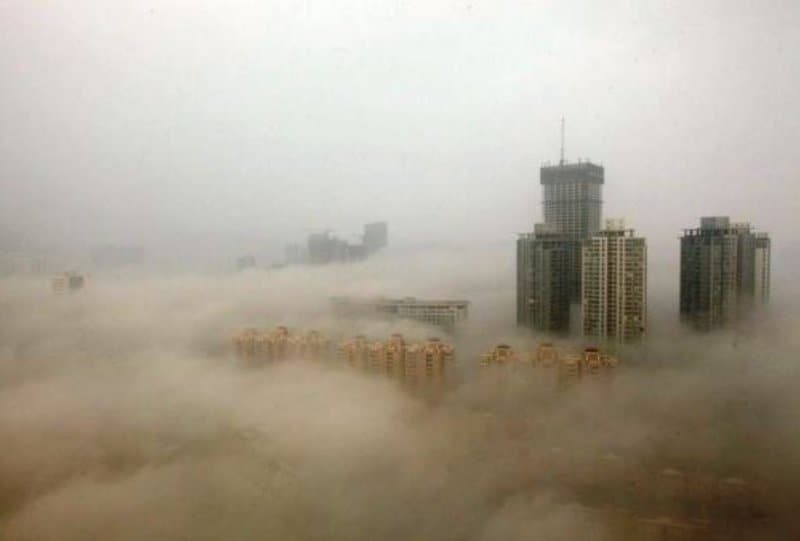 China is incapable of preventing the amount of pollution they are producing on a near daily basis, though. There is simply too much! 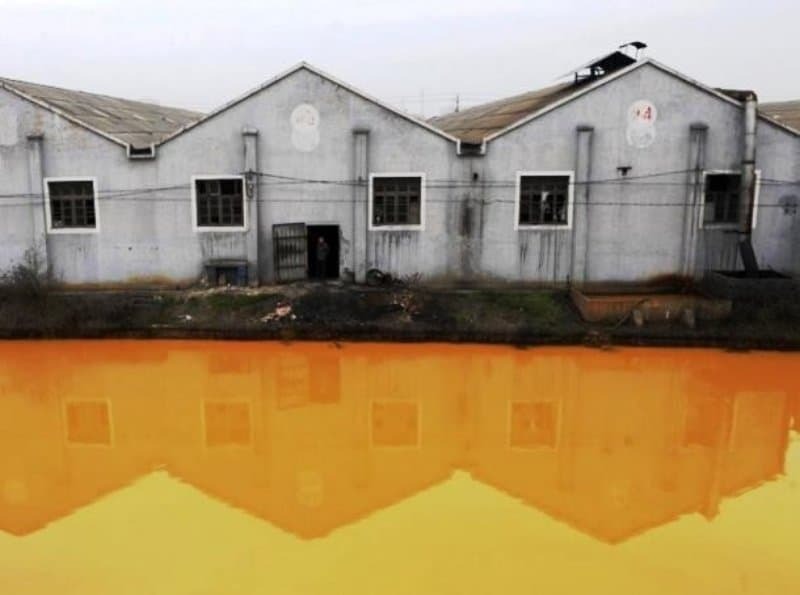 Here are ten shocking images detailing the pollution problem in China. 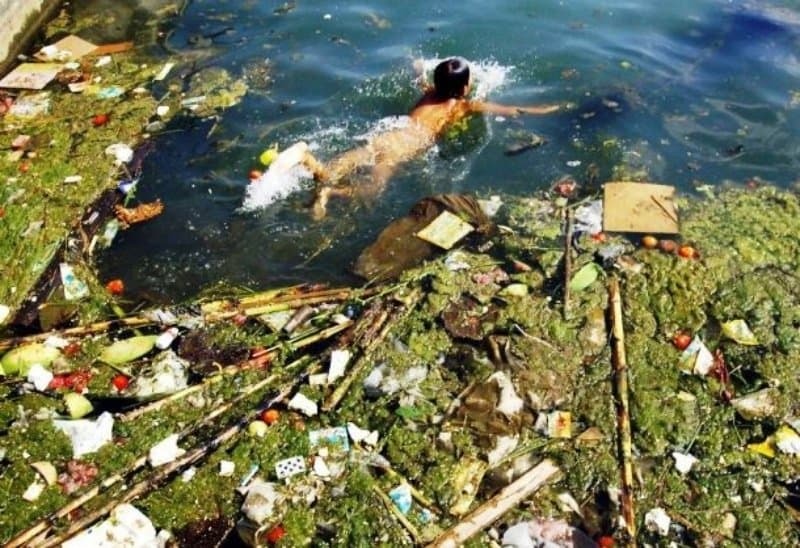 In this sad image, a young child is captured splashing around within a polluted reservoir of Pingba. 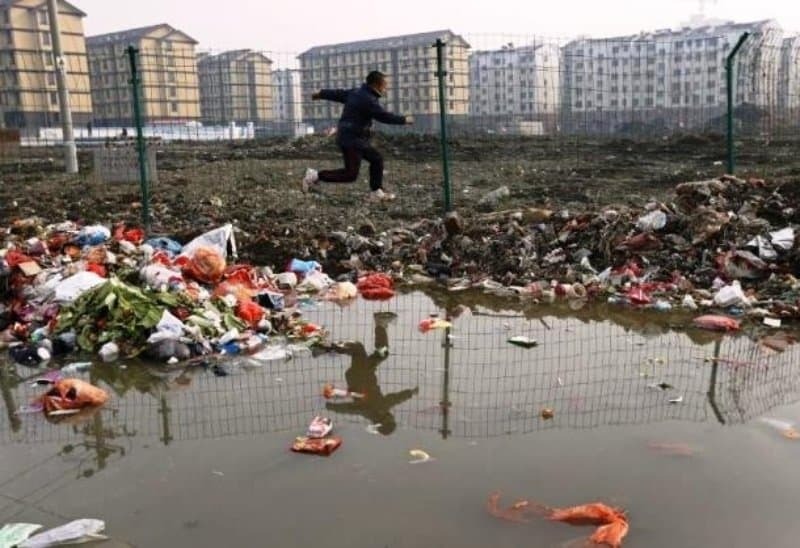 Here we can see the disturbing display of a young boy jumping over piles of trash and murky water while playing in Jiaxing. 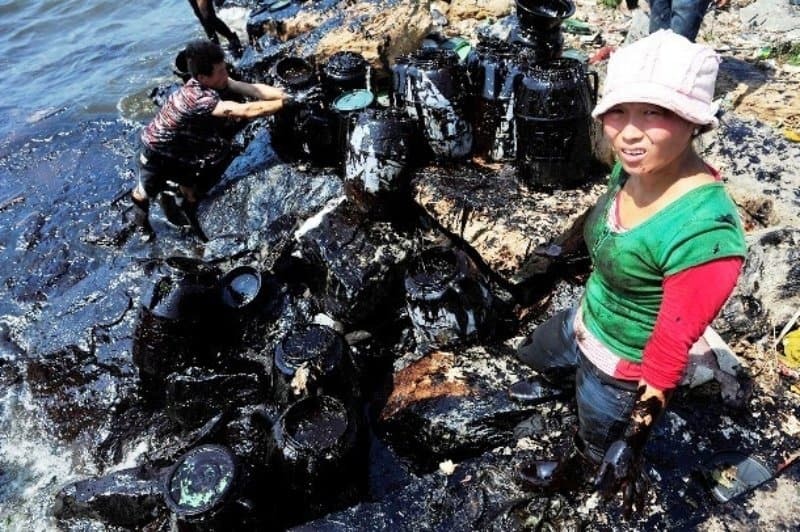 Oil spills occur all over the world, but this one at the Dalian Port in China is bad enough to cover nearly everything. These skyscrapers in Beijing are some of the tallest in the entire city, and even so they barely reach above the dense smog. 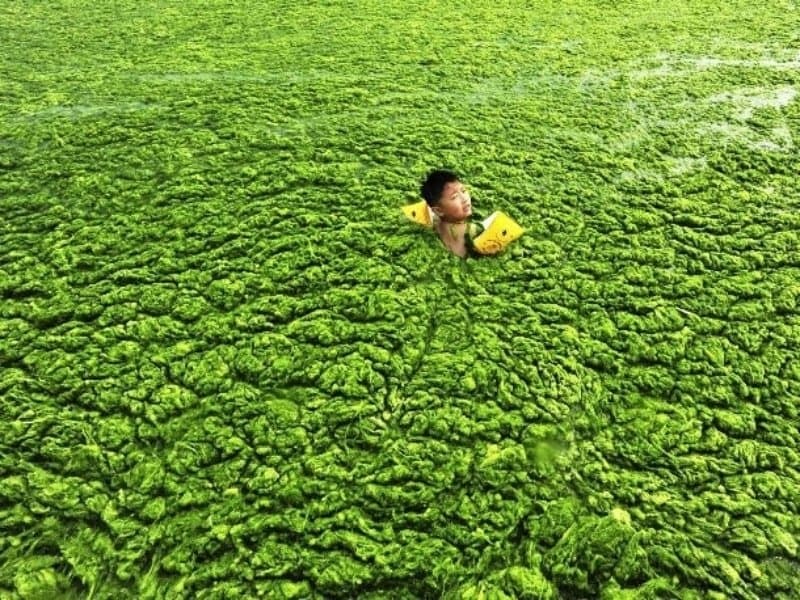 These dense algal blooms were caused by the excessive run-off from agricultural operations in Qingdao. They have flooded the rivers, where many residents used to swim. These homes in Jiaxing, Eastern China, experienced significant flooding from the nearby polluted river. Imagine that leaking into your home. The smell! 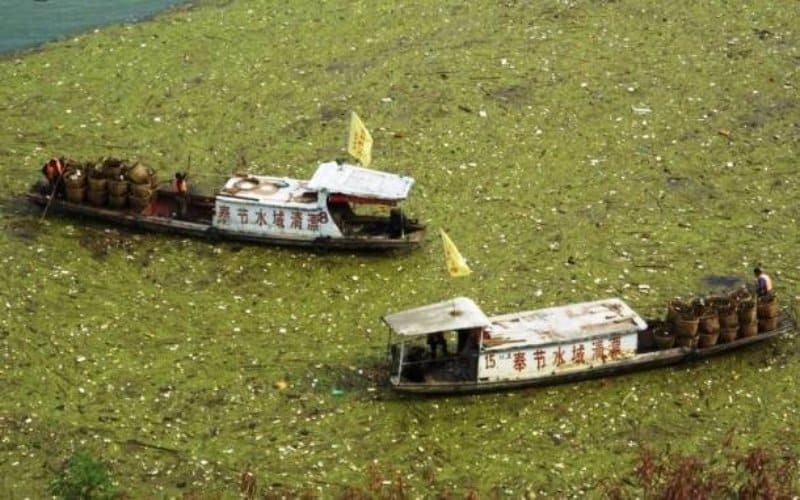 The Yangtze River is one of the most polluted bodies of water in China. You can’t even see said water that is supposed to be in the river. 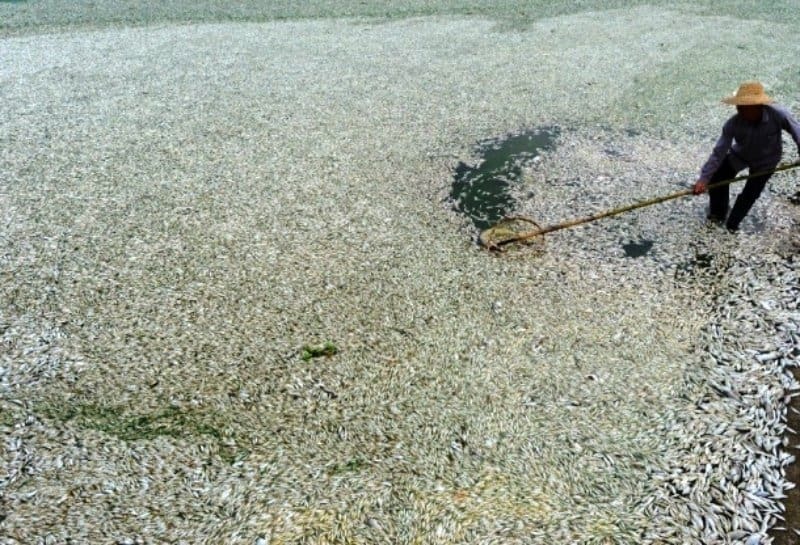 Here we can see a man hoping to remove the dead fish covering the top of a river. His work is in vain, though, as it isn’t helping. 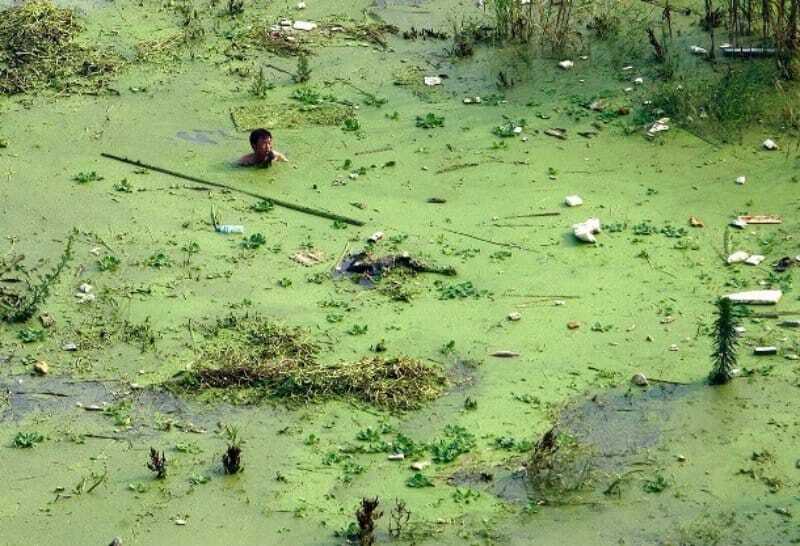 In Wahun, the polluted river is also as green as toxic sludge. This man is holding his fishing net in his mouth as he tries to traverse the sludge. 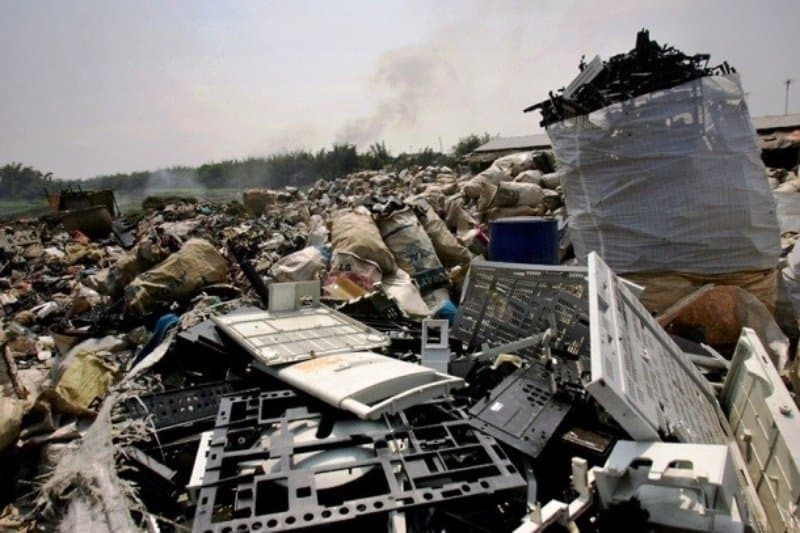 China has a significant amount of used electronics that have been dumped in landfills. There are entire areas covered in this garbage and muck.